Rev. 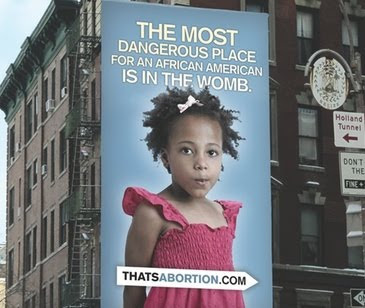 Al Sharpton says he's convinced an outdoor advertising company to pull the controversial anti-abortion billboard that went up in Soho earlier this week. Sharpton: "The billboard was offensive, especially during Black History Month, and I had intended to hold a press conference Friday in front of the billboard to protest the message of racial profiling and against a woman's right to choose." UPDATE: Gothamist notes that the woman whose child posed for the stock photo used on the billboard is not very happy either. "I would never endorse something like that. Especially with my child's image. It's bad enough you're saying this about African Americans, but then you put a child with an innocent face. I just want the image off of it. Use another image—just not hers."